I tried your HSDPA mod on my FS and it will not work. After I insert the Sierra MC 8775 card (one is an unlocked and another from ATT), the system will recognize the card as an HP wireless HSDPA modem, but will not install drivers to it. When I try to update driver it does not accept it. The behavior is the same for both cards and I just did a clean reinstall of hte operating system and it still does the same Please help. Third card was the charm. Got hold the same Aircard you used in your mod and it worked like a charm. I’m hoping to do the HSDPA mod on my FLIPSTART. Could you also provide me with a link to the video as the current links are dead. I just got the MC8775 and would really like to add HSDPA to my Flipstart. Would you please upload the video again. The current links are dead. As stated , the links do not function. Can you make the video available again, to use it as a “in the real” tutorial. Sorry the videos are not working because Qik is no longer storing old videos – I’ll see what I can do. Thanks a lot in advance, it will add a super feature here in Europe to my “lonely” flips ! By the way, as you already dismanteld the machine, do you think it is possible to change the HD, say … for a SSD ? Yes, it’s easy to do, just remove the bottom cover. The hard drive is standard 1.8″ PATA with ZIF connector. 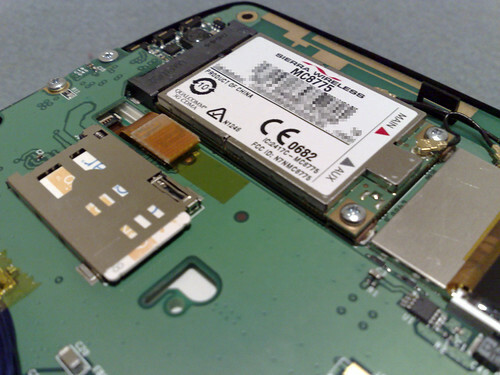 SSDs are available in this form factor.